High – Egypt. Initiatory journey through space and time, in the land of great builders. Along this untamed river whose mysterious rhythm inspired myths and legends, from ancient times until today, the Nile continues to fascinate its contemplators. This horizon represents Egypt, three stripes, blue, green and ocher. A magnificent spectacle is revealed to you as you drift down the Nile. 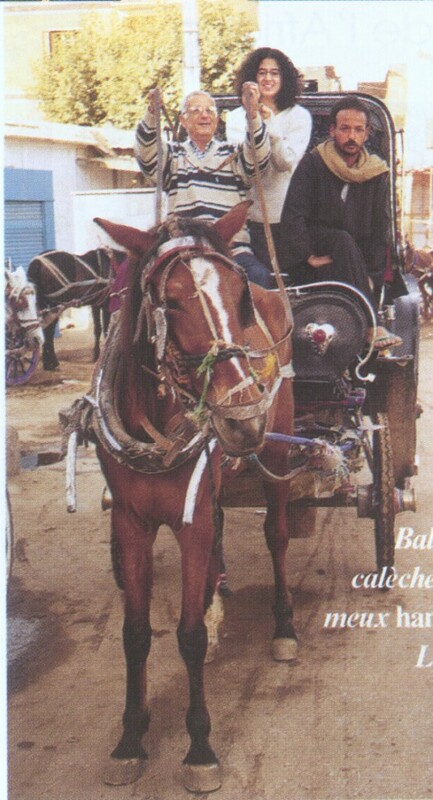 Stroll on a horse carriage, the famous hantour in Luxor. Graceful felucca where you slide along the Nile. The unlimited desert of sand and rock, almost touching water, palm trees bending under the dates, channels crossing the fields and the fellah that blends into a landscape unchanged for centuries. This peasant who was already on the bas-reliefs of temples making offerings to the gods. 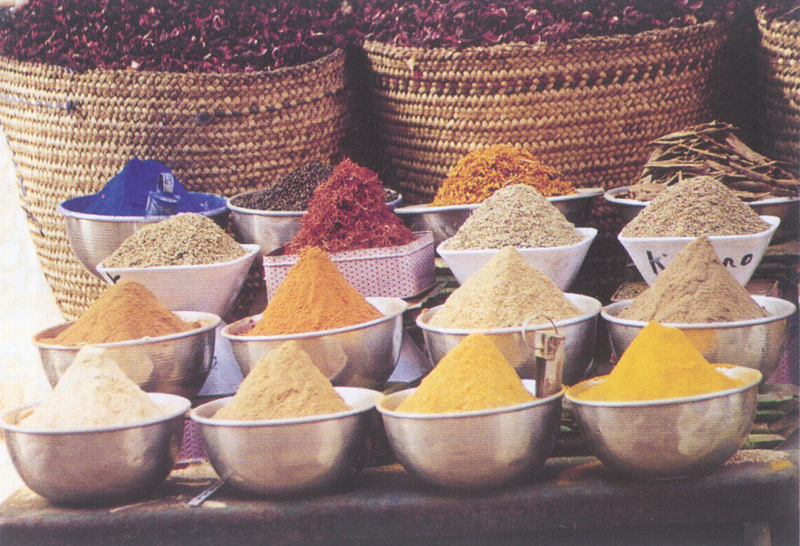 Saffron, cumin, petals of carcadé … At Aswan Bazaar, on the Spices Route, blend all the colors of Africa. This is the domain of Isis, the sacred island, Philae. Only priests had access. They were celebrating the sacred rites on 360 tables reserved for offerings! The construction of the temple dates back to the first three centuries AD. And worship continued there until 560 under Justinian, the last priests were expelled. 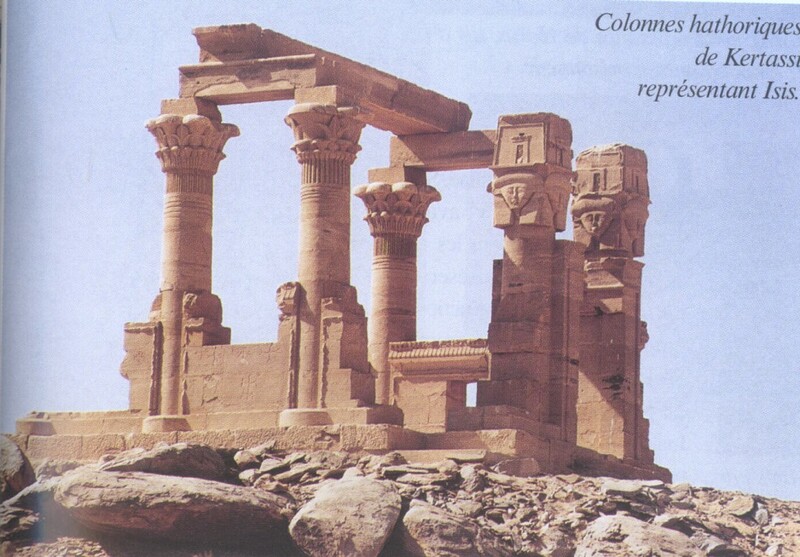 Isis has been worshiped until the VIth century! Gigantic frescoes of Isis and Horus, about the birth of Horus, son of Isis and Osiris, and the pharaoh Ptolemy II grabbing a prisoner. A rock out of the sand, stunning views: the temple of Kom Ombo, offering from King Thutmose III to Haroeris, Horus the falcon head and Sobek, the crocodile god, and the contrast between the Nile water, the sand, rock, green grass and the very blue sky. Between Falcon God and crocodile God, the oldest temple dedicated to Saturn. 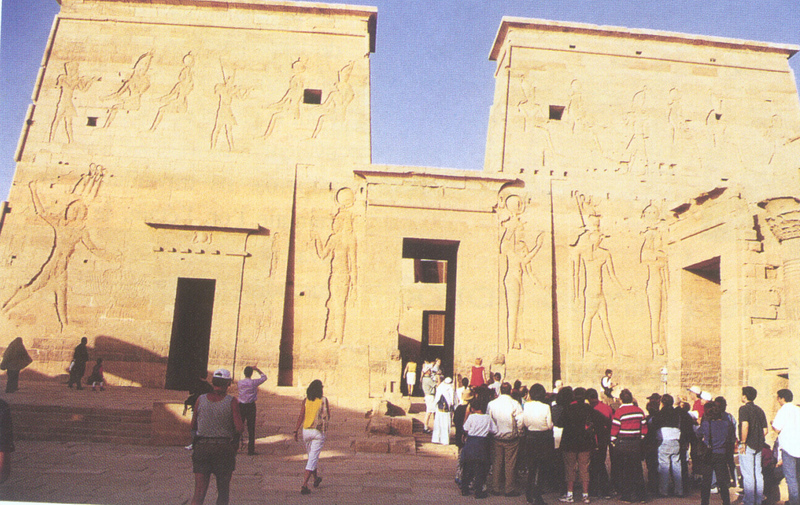 Edfu. Sacred boat only used during processions. The shrine was accessible only to the king and high priest. Plebeians who built it remained outside. 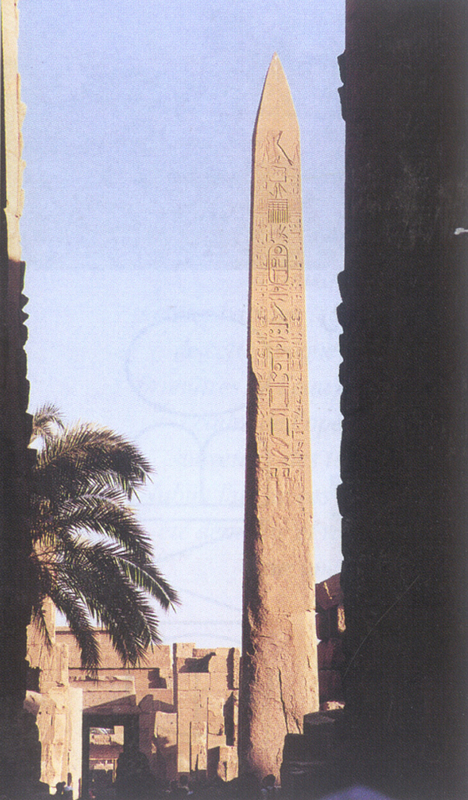 One of the two obelisks of rose granite, the other offered to France by Mohamed Ali in 1831. It stands proudly Place de la Concorde in Paris. The top of the obelisks was covered with gold. Their function, capture the divine energy of the solar star. Dromos or alley lined with sphinxes (custodians of temples) once over 2 km long with 700 sphynx, this sacred path connected the temple of Luxor to Karnak. 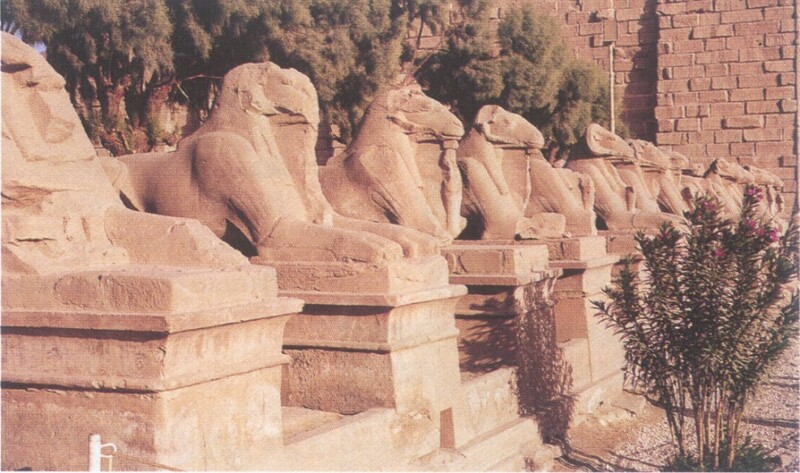 Only two sphinxes were visible in Napoleon’s time. This is an unfinished obelisk found in Aswan, still welded to the rock that showed the contemporary world the skills of the ancient Egyptians. We carefully placed wooden wedges in notches of the rock, and the cedar wood that grew and divided the rock. The block came down to the river and laid on bricks and mud, the felucca docked before the recession, and then stranded, workers loaded and waited the next flood to deliver. Karnak, at the great temple of Amun, a forest of 134 columns, only the nave has the dimensions of Notre-Dame de Paris. 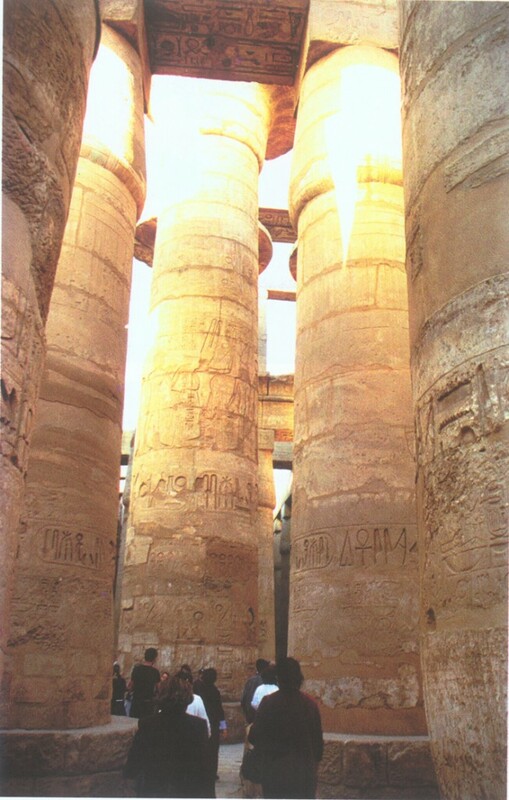 Each pillar at Karnak is connected to the other by a nail … cedar wood brought from Phoenicia. 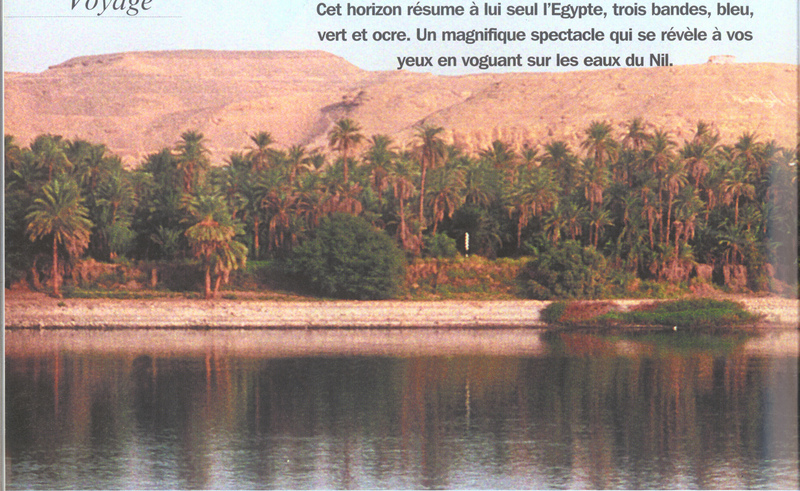 The cemeteries were built on the left bank of Thebes, where the sun sets. 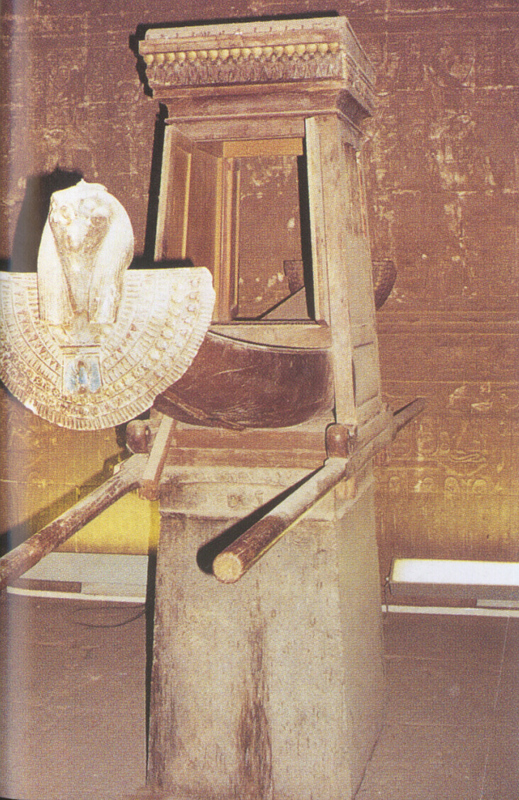 Those of royal worship were built early in the reign of a pharaoh and the work stopped when he died. If Seti the 1st broke records of longevity, evidenced by his endless tomb, Tutankhamun, who died at age 18, has been entitled to a grave with some rooms, although one of the richest and most protected of the valley of the Kings. 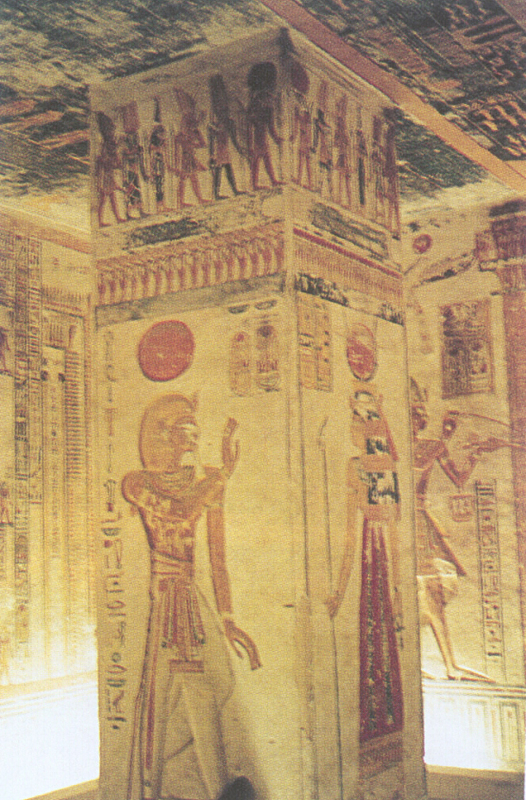 Inside the tombs, mural colored frescoes of infinite wealth. 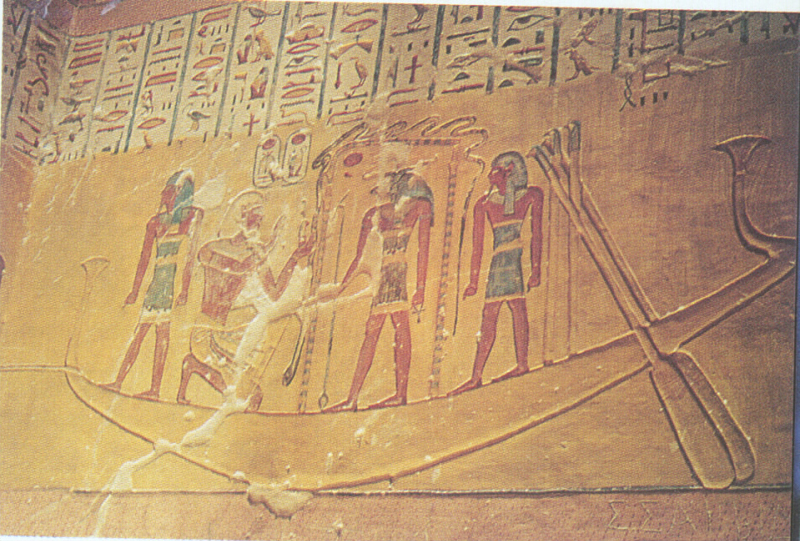 In most representations, the Kings wear the pschent, double crown of Upper and Lower Egypt.